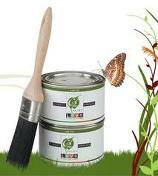 Need Paint for Your Shutters, Walls, Trim? Make it Green. – Back Bay Shutter Co. 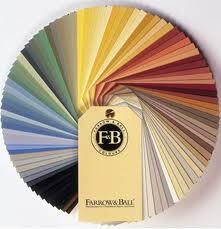 Need Paint for Your Shutters, Walls, Trim? Make it Green. Almost three decades ago the Environmental Protection Agency (EPA) began focusing on VOC’s, volatile organic compounds, and their adverse effect on health. “What the heck are those, you ask?” They’re compounds, found in many things, including the solvents in paint, which are not only harmful to people, but also to the environment. Paint companies began scrambling to reformulate their lines, in an effort to phase out oil paint and create new environmentally friendly options. Benjamin Moore’s Green Promise is their assurance that a product meets and exceeds the industry standards. The Natura line carries this Green Promise, is virtually odorless, provides premium performance, and has a quick dry time of 30 minutes. The Aura line, described by Benjamin Moore as, “Quite simply the finest paint we’ve ever made, ”offers truer, richer color” while also offering low VOC and low odor. And finally, their ben Paint line is great for ceilings and walls with slight imperfections, and features low VOC, as well as low odor. Farrow & Ball has dramatically reduced the solvent in their paint, resulting in over 90% of their line being classified as low to minimal or zero VOC. These water-based paints boast the performance benefits of Farrow & Ball’s traditional oil-based system, maintaining the superior reputation Farrow & Ball has built. The brainchild of The Coatings Alliance, a group of independent painst store owners throughout North America, LoVo is C2’s line of Low VOC paints. They’re available in all of the company’s 496 handcrafted colors. Both Benjamin Moore and Farrow and Ball, as well as other paints and products are available at Johnson Paint Company, one of the Back Bay Shutter Company’s favorite paint stores for its large selection and personalized customer service. If you have questions about low or no VOC paint, the staff at Johnson’s has the answers. Happy painting.